Klout is shutting down, and your Klout Score is disappearing with it. For those of you who know what Klout is/was this is probably a reminder of a simpler time. And the rest of you will be scratching your heads wondering what this is all about. Klout was launched in 2008 as a way for social media users to gauge their popularity. 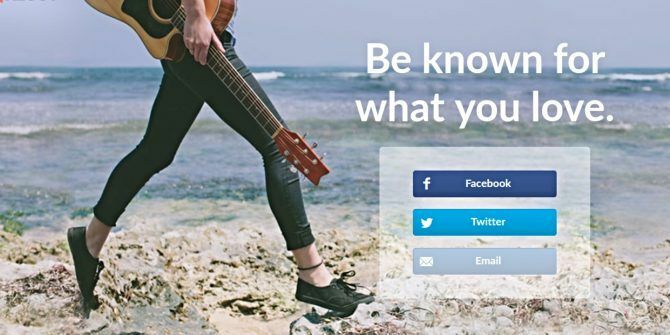 You would link your various social media accounts, and Klout would then use a number of parameters to determine your Klout Score between 1 and 100. The official line was that this score represented how much influence you had. But it was really just one big popularity contest, with Canadian pop twerp Justin Bieber Why The Internet Hates Justin Bieber [Weird & Wonderful Web] Why The Internet Hates Justin Bieber [Weird & Wonderful Web] Justin Bieber is a phenomenon. He has millions of fans hanging on to his every word and action. Yet, this child of the '90s is hated in no uncertain terms by the Internet. But why? Read More scoring 100/100. Klout never lived up to its early hype, and was eventually sold off. Now, Lithium Technologies, which acquired Klout in 2014, has decided to “sunset the Klout service, effective May 25, 2018”. After that, you’ll no longer be able to check your Klout Score or see what subjects you’re considered an expert in. If any. May 25 is, perhaps coincidentally, the date by which companies need to comply with the EU’s new General Data Protection Regulation (GDPR). However, if that does have anything to do with either the decision or the timing, Lithium isn’t saying. In a post on the Lithium Community, CEO Pete Hess states that while the acquisition of Klout “provided Lithium with valuable artificial intelligence (AI) and machine learning capabilities,” “Klout as a standalone service is not aligned with our long-term strategy”. However, it should be noted that at the end of the post, Hess states that Lithium is “planning the launch of a new social impact scoring methodology based on Twitter”. Which not only sounds slightly ominous but could signal some kind of Klout v2. Watch this space. We doubt many people will be bothered by the news that Klout is shutting down. Because while Klout was a thing for a time, the internet moved on years ago. It’s been so long since I checked my Klout Score I might have been crowned King of Klout for all I know. Even though Klout is no more you may be interested to read our previous coverage on the social scoring site. In 2012 I wrote an overview of Klout as it was at the time Klout - Networking To Increase Your Online "Influence" Score Klout - Networking To Increase Your Online "Influence" Score I wasn't a fan of Klout when I first heard about it. Even after I signed up and actively started to delve through what Klout is and does, I was underwhelmed. Actually, I'd go as... Read More , but by 2015 we were explaining why no one should pay any attention to Klout scores Why You Shouldn't Pay Any Attention to Klout Scores Why You Shouldn't Pay Any Attention to Klout Scores Read More .